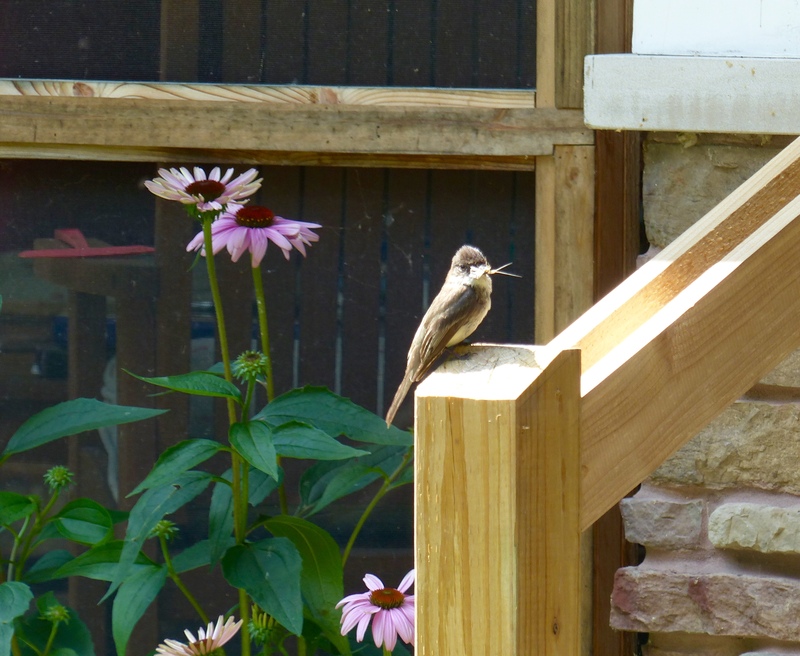 This entry was posted in contemplative living and tagged benefits of insect-eating birds, Birds of America, Birdwatching, cultivating bird-friendly habitat, Eastern Phoebe, friendliness of Phoebes, George Gladden, living with birds, nesting birds, observing bird behavior, Phoebe. Bookmark the permalink. 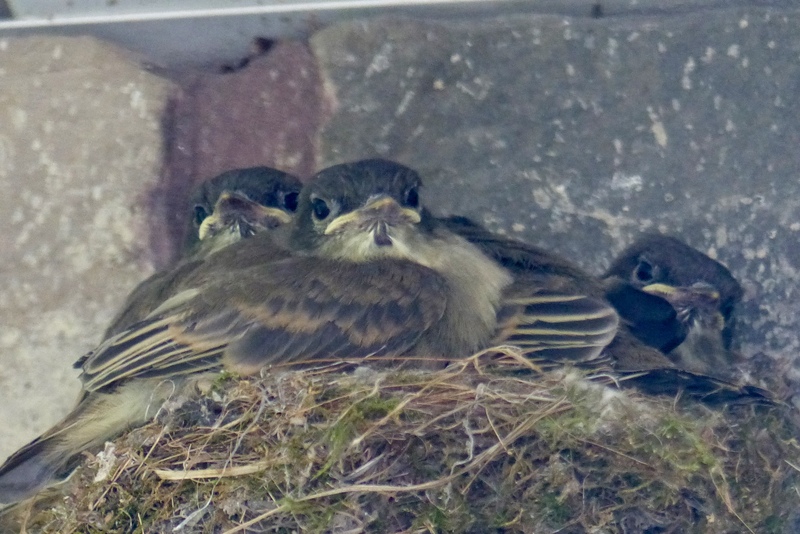 How wonderful that you got two broods this year! Great pics too. Judy, What precious gift these little phoebes are to you this summer! They look absolutely delightful! They are so fortunate to have found your home for their home! Thank you, Joan! 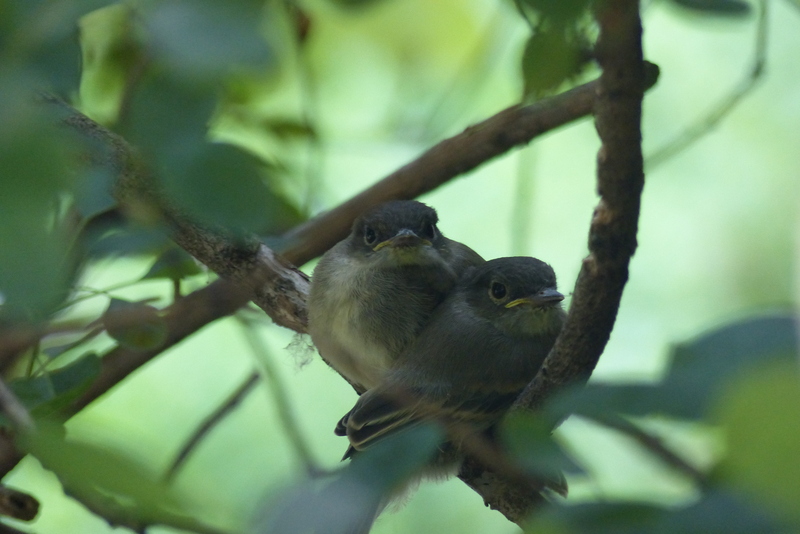 The Phoebes are a gift indeed and I truly feel we are the fortunate ones to have had this extended opportunity to observe them.